Through research and development, American Dry Basement Systems custom designed a concrete waterproofing product that works like magic. 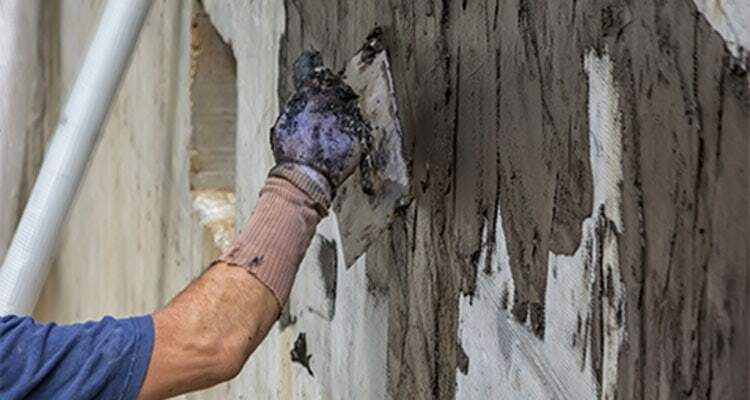 Not only does it repair and rejuvenate old deteriorating concrete to a like new condition it changes the fundamental composition of concrete from a porous sponge-like material to a nonporous solid waterproof membrane. Its not hydraulic cement. Its unlike anything you can buy in stores because it never cracks. 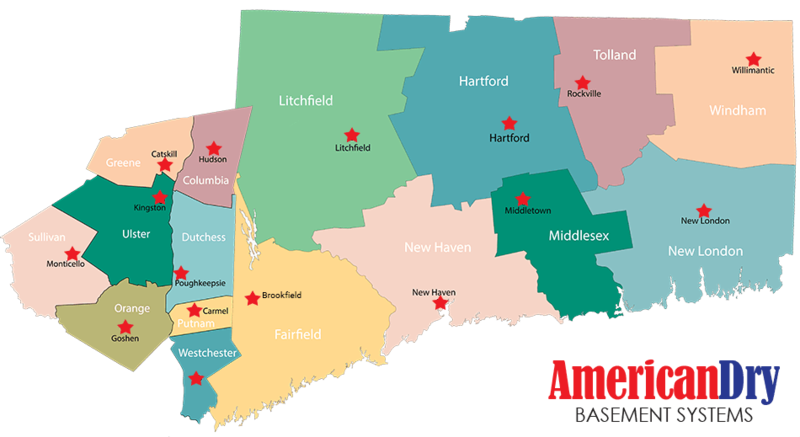 “I had a really good experience with American Dry Basements. We developed a plan to fit my issues and my budget. The workmen were extremely hard working and polite. And, best of all, my basement has remained dry.” -Timothy M.
Exclusively designed, developed, and used by American Dry Basement Systems, our proprietary SuperCrete product rejuvenates and repairs concrete floors like magic also damp-proof/waterproof dirt or cement crawlspaces. SuperCrete has a crystalline component (the same as SuperSlurry) that grows into concrete, strengthening it and waterproofing it. Part of the slab (floor) is removed to install drainage beneath a basement floor. SuperCrete is a proprietary product used exclusively by American Dry to repair and reconstruct the slab back to its original condition and thickness. The crystalline component of SuperCrete will grow into the main body of the basement floor creating a seamless weld between the old cement (the main body of the floor) and the newly applied SuperCrete. This repair is easily several times stronger than ordinary concrete. This is just one more reason why American Dry stands alone in the field of basement waterproofing. Our proprietary SuperSlurry product waterproofs concrete walls. It works by turning porous concrete into a nonporous waterproof cement barrier. SuperSlurry operates on a molecular level rejuvenating and repairing concrete walls to a like new condition. When applied onto interior basement walls, SuperSlurry will grow by forming crystals from the inside of your basement wall, through the wall to the outside of your basement. It grows towards the moisture. The crystals fill all the pores that would typically absorb water. The result are dry walls. 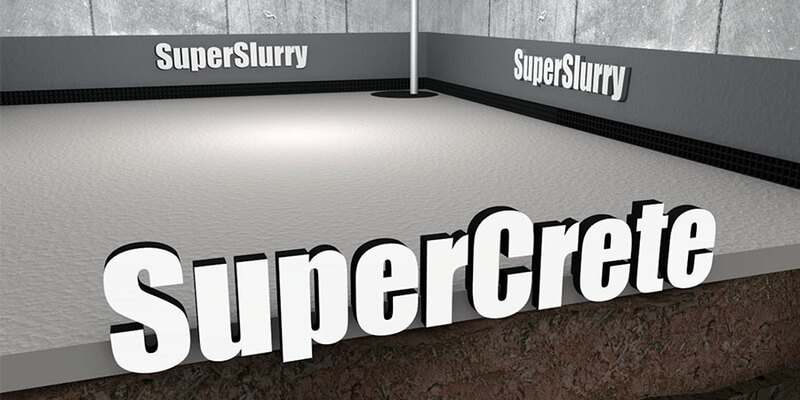 Our proprietary SuperSlurry product stops concrete walls from absorbing water. Unlike waterproof paints applied to the surface of the wall and over time always peels off, super slurry grows through the entire wall and becomes part of the wall. An excellent characteristic of the crystalline component in our SuperSlurry is that it never stops working. Any time moisture is present in the concrete the crystals are re-activated and will continue to grow towards that moisture repairing rejuvenating and waterproofing the concrete as it grows.